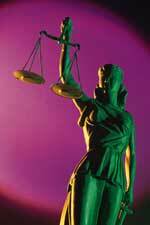 This overview page covers expungement of arrests and criminal convictions only. Expungement of mental health records, and expungement of records in the child abuse registry, are covered in separate pages on this site. Are you applying to nursing school? Would you like to be a teacher, drive a school bus, or be a school crossing guard? Are you seeking a New Jersey firearms identification card? Perhaps you want to adopt a child or be a foster parent, or coach a Little League® baseball team. Maybe you're looking for a job in securities, or at Home Depot. Were you ever charged with shoplifting? Or busted on account of some weed? Are any felony convictions, or even just arrests, on your record? Expungement (or expunction) in New Jersey is the isolation of a criminal record. The actual record is not literally “erased.” Expungement do, however, erase many civil disabilities that convictions bring. Thus citizens whose criminal record has been expunged again become eligible to vote. They qualify for jury service and do not even have to mention they were ever arrested, or charged with an offense. Statutory firearms disqualifications are removed. And expunged records become generally not available from government sources. So in that sense, these records are erased from the sight of people doing public records searches through the courts, through the police, and even through the FBI. Why Have Your NJ Record Expunged? A clean criminal record is an asset. A very important asset. It often determines whether an applicant gets a particular job. Getting a criminal record expunged sometimes determines whether a person who already has a particular job can keep that job, or advance in the organization. It can also affect decisions of professional licensing boards. In our increasingly uptight society, criminal record checks are required of nurses, volunteer sports coaches, day care center workers, persons seeking to be foster parents, or adopt children, applicants for a firearms permit, and persons applying for school positions, to name but a few. Expungements enable an applicant to avoid unpleasant consequences of past situations. Increasingly, even prosecutors recognize that expungements for the individuals they once helped convict further the best interests of society as a whole. Another benefit is psychological. The weight of the past is lifted from the shoulders of the person whose record was previously saddled with this blemish. As former client M.D. put it, "It's a new beginning." What happens to expunged records in NJ? Can all persons with criminal records in NJ expunge them? How long does it take to expunge records in NJ? To expunge my NJ criminal record, must I appear in court? What if the prosecutor objects? Do I need to hire one of the New Jersey expungement lawyers? If you would like to expunge your NJ criminal record, Allan Marain can help. Page last updated April 19, 2019, and displayed Tuesday 23 April 2019, at 10:00:01 MDT.